Denmark is a democratic country that is regarded as one of the most coveted countries for immigrants. It is regarded as a welfare state with a mixed market economy that is highly developed. Denmark ranks first in terms of social mobility, income equality and high per capita income. It is also regarded as the one of the happiest countries in the world. Denmark has a lack for skilled workers as the majority workforce in the country is on the verge of retirement. Hence, there is a lot of demand for skilled workers such as IT professionals, health workers, communication professionals, civil engineers and many others. Denmark also boasts of highest GDP figures when compared to many other prominent countries. When you think of immigrating to overseas, you can check-out the jobs that are currently in demand, in Demark. You can seek the advice and guidance of expert immigration and visa consultants like MoreVisas for realising your dreams. Denmark consists of an egalitarian society where all people are treated in an equal manner. There is no discrimination on the basis of race, population, gender and many other factors. This unique aspect of Denmark makes it an important and positive place to live and work. The society and working environment in Canada make it a better place to prosper in your career. The education system of Denmark is highly reputed in the world. When the education system of some countries was not even formed, the education levels in Denmark were highly developed and qualified. It consists of several famous Universities and colleges that are well known for imparting practical and industry-driven education. Denmark also offers a wide range of options for immigrants regarding excellent schools and Universities to choose. MoreVisas offers a highly qualified and successful immigration for study in Denmark. Denmark is known for providing better public services for its people. It is highly known for the provision of improved social security system for its people throughout their life. Education, health services and childcare services, are offered at free of cost as they are provided by the government through taxes. Importance to time and individual freedom is highly appreciated by the Danish people. Due to the importance given to growth of a person and his freedom, Demark has been often selected as the happiest country in the world. Immigrants to Denmark can also experience standard lifestyle of Europe, high earning opportunity, peaceful life and many other favourable aspects. MoreVisas houses a team of expert immigration consultants who offer personalised and useful immigration solutions for clients. 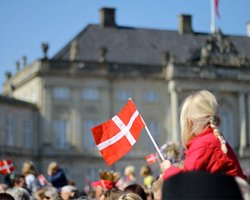 We always try to offer a carefree and smooth immigration service to our clients while immigrating to Denmark. To get more information on denmark immigration please follow us on Twitter, Facebook, Linkedin.